Address; Siam Cottage Thai Restaurant, 6a - 6b Tontine Hill, Ironbridge, Telford, Shropshire. TF8 7AL. A proper Thai meal should consist of a soup, a curry dish with condiments, a dip with accompanying fish and vegetables. A spiced salad may replace the curry dish. The soup can also be spicy, but a non-spiced item should replace the curry. There should be a harmony of tastes and textures within individual dishes and the entire meal. Instead of serving dishes in courses, a Thai meal is served all at once, permitting diners to enjoy complementary combinations of different tastes. Thai Restaurant in Bridgnorth, Shropshire. Address; Thai Arts - Thai Restaurant, 69 St Mary Street, Bridgnorth, Shropshire. WV16 4DR. 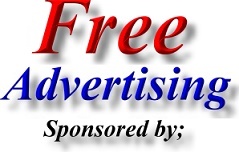 Please note; Closed From 24 August 2009 to 23 September 2009 for Refubishment & Decororation. 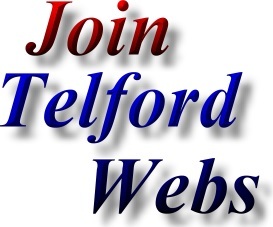 Address; The King & Thai - Thai Restaurant, The Forester Arms, 33a High Street, Broseley, Telford, Shropshire. TF12 5DL. 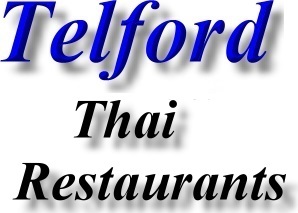 The King & Thai - Thai Restaurant (Ironbridge, Telford) has now relocated to The King and Thai, The Forester Arms, Broseley, Telford (Telford Pub). The King & Thai - Thai Restaurant still offers the same fantastic quality, authentic Thai Cuisine, but in a new spacious contemporary setting.